Signs of Change is at this moment in the hands of ICC for duplication. The album was mastered from vinyl, as the masters no longer exist, in Canada and the bonus tracks added and mastered on 1st & 2nd Dec 2004. The release date is currently set for 17th Dec. Watch for further news and complete Article on the transfer & mastering that have created the CD. Pre-orders can be made at the ATF webshop. At last are delighted to announce that a double CD with all the original tracks from the albums Laser Love, 80-f and Batteries Not Included are to be released on the Edsel label roundabout February 2005. In addition to the album tracks certain B sides and other material will be included making this a truly special collection. The CDs will be available through the ATF webshop. After an outstanding welcome back to Greenbelt ATF2 played to a full house at Cranleigh Village Hall, Nr Guilford in aid of Soapbox Trust charity. Rob Russell's reformed band Bang! Bang! More information and pictures visit the batcave. 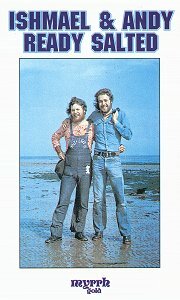 The first Ishmael album recorded with his best mate and travelling partner of the time Andy Piercy. Ready Salted is a tribute album of the Ishmael and Andy ministry and includes some of the favourite folk / rock songs that made this duo so popular in the early 70s. ( Andy is now employed as the Praise leader at Holy Trinity, Brompton, and Ishmael and Andy are still best buddies 30 years on). Praise God is a unique blend of worship music and contemporary pop rock from British worship leaders Andy Piercy and Dave Clifton. Recorded in England, it's UK worship its best featuring 12 original songs like "Praise God From Whom All Blessings Flow," My Beloved One," "Precious In Your Eyes," and "We Worship And Adore Thee." 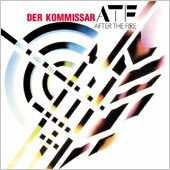 Collectables Records have released the American tape version of Der Kommissar on CD.